We currently have this stylish oak meeting table in stock, with a wire management cut out and grommet. Combined with any of our meeting chairs, such as the classic Vitra Visavis meeting chairs, these tables will add a sophisticated edge to your meeting room. Dimensions: 2000 x 1000mm. 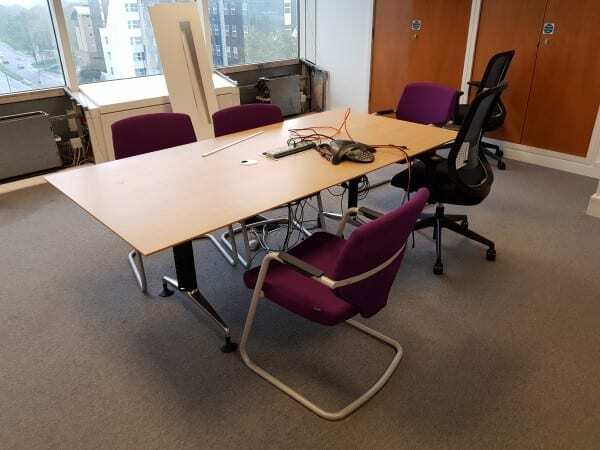 Alternatively, we have an extensive range of other second hand tables in stock. Just click on the link provided, or simply enter your details into our ‘Request a Quote Online’ form below and one of our sales team will be in touch very soon.